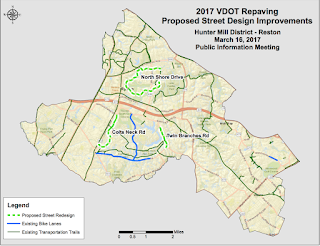 Cyclists are encouraged to attend the meeting held by the Fairfax County Department of Transportation (FCDOT) this week to discuss proposed changes to street design on North Shore Drive, Twin Branches Road, and Colts Neck Road. Your support and feedback are needed. For full details, see our earlier blog post. 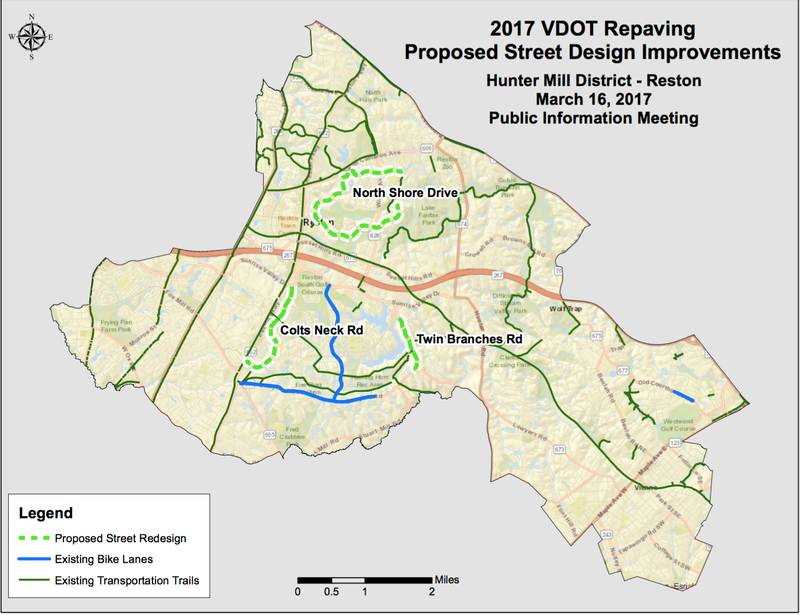 The meeting is this Thursday, March 16, from 6:30-8:30 p.m. at Dogwood Elementary School, 12300 Glade Drive, in Reston.